only some parts keep working (water inlet, pump etc. ), while others don't (heating, washing). 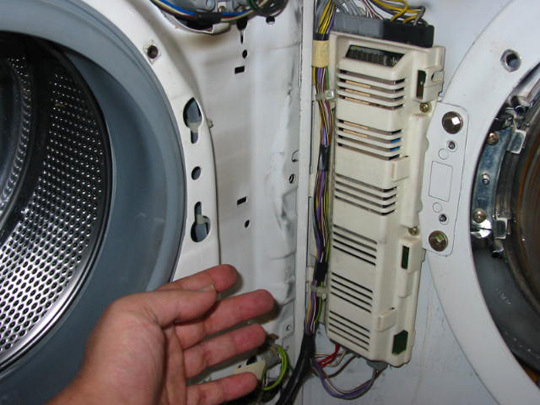 If you are used to close the door after finishing the laundry, a small,current keeps flowing through the transformer. After a while, this ruins the transformer. Either the primairy, or the secundairy coil breaks down. If the first occurs, the machine stops working at all, in the second case, only some functions have been disabled. This is a known fault with this type pcb. 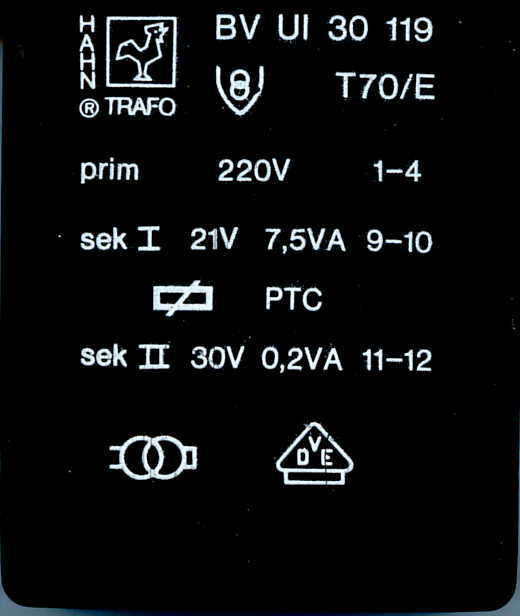 Among other things, the EL001 controls the RPM of the motor. In Europe only, thousands of washing machines are wasted premature. This is bad for your wallet and bad for our environment. When you follow the procedure below, you realise that it may not be nessecary yet to buy a new machine. All models: Hydromatic, Novotronic etc. for not mentioned (series 700-) types MIELE washing machines. 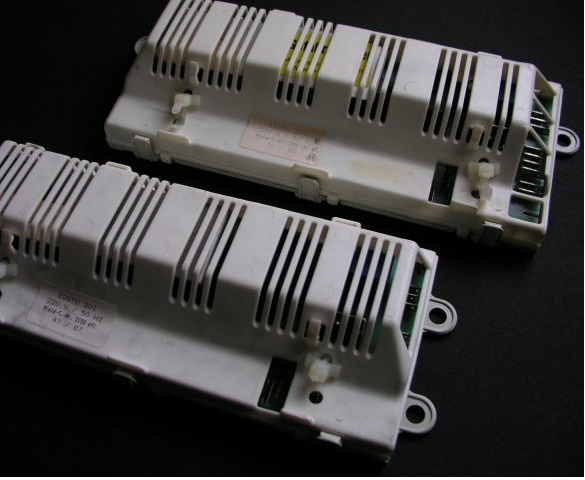 *We do not support customers in dismounting and mounting of the transformer on this board. Due to the multilayer construction of this pcb, this can only succesfully be accomplished by a skilled and experienced technicien. If you choose to perform this operation yourself, you do this at your own risk and therefore I cannot guarantee success. I do not take back transformers once they have been mounted. Where to find the typenumber and how to dismount the PCB? Unscrew the complete unit (leave the board in the plastic cover! ).